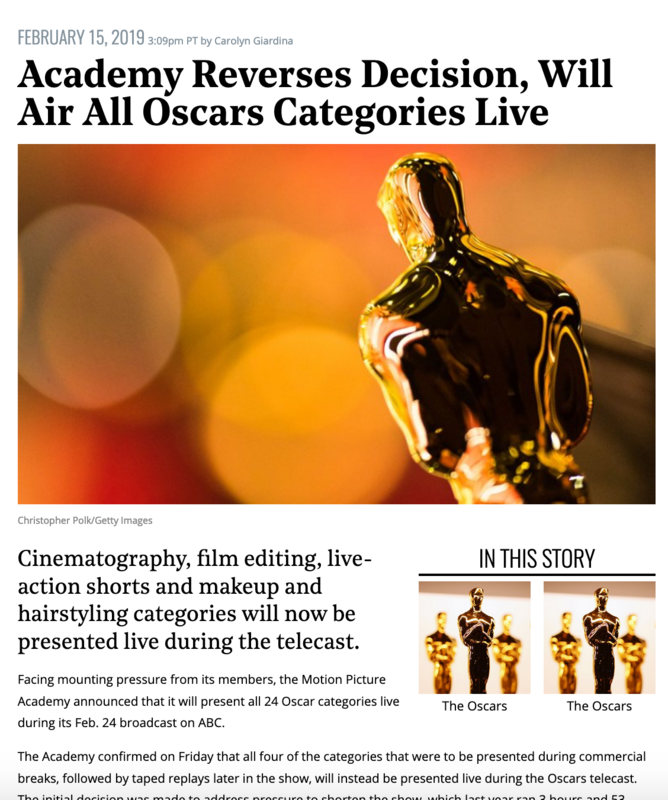 Have you heard the uproar about the decision not to televise the presentation of some Oscar categories on this year’s upcoming broadcast? It was reversed the other day, but the plan had been to deal with the ever-increasing length of the annual telecast by excluding four presentations from the live show that viewers would see — and awarding them instead during the commercial breaks. The only problem, of course, is that each year plenty of awards are given out aside from those during the live broadcast. Anyone familiar with the show knows that they always include a video segment that quickly summarizes not only the Governors awards ceremony (where a few honorary, lifetime achievement awards are given out) but also the awards for scientific & technical achievement, as they call it, held a couple weeks before the main ceremony, in a nice but hardly as glitzy a ceremony. In fact, the latter, separate ceremony dates to 1931 (and is decided on by a panel as opposed to “the members of the Academy” — oh, and you also apply for them). This year, 9 such awards were given, shared by a total 27 people. (More info here; or watch clips form this year’s event here.) And they even get a version of the Oscar. Which makes plain that, despite that above quotation, there are more than 24 presentations each year. But where’s the petition for them to be included in the main ceremony (which will make it not 3 but 4 hours long, right?). I’m not saying that these awards ought to be included, of course, or that they should come with a “real” Oscar; I’m just curious how (given the current attempts to include everyone in the show) forgotten that prior decision to exclude now seems to be — demonstrating that the logic of including all categories has a curious (and likely, inevitable) blind spot. 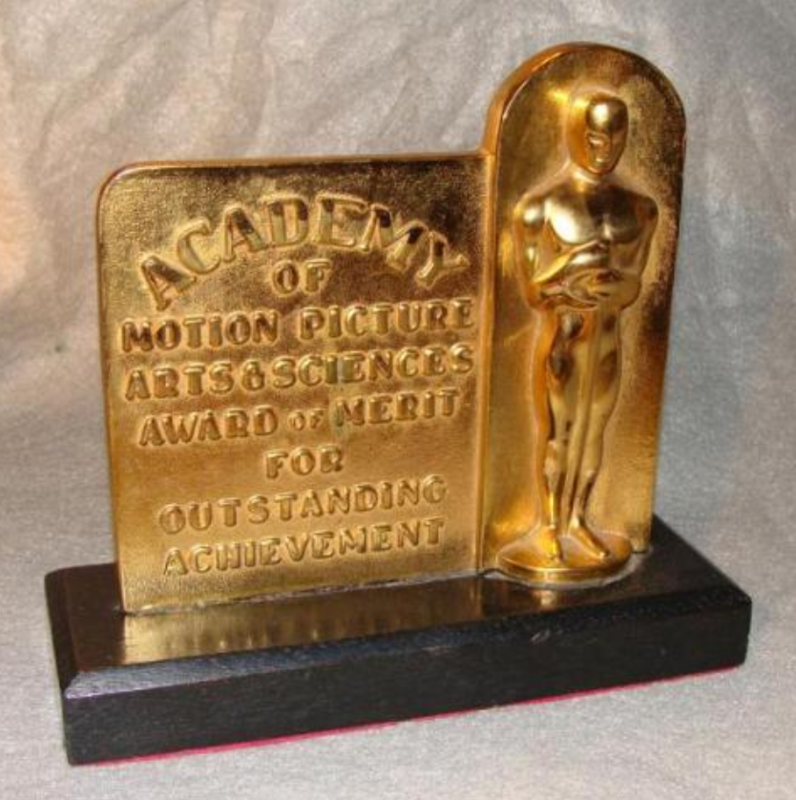 For even though the Academy gives out all of these honors, making them all Academy of Motion Picture Arts & Sciences awards, defining and designing just some as “Oscars” goes a long way to help us all (the dissenters included) forget those who have never been there on the big night.